Captivating V-neck warm and cozy cashmere poncho. This cashmere poncho is easy to adorn and drapes perfectly on body creating an uneven hemline. This poncho will not just keep you warm but give you a vogue winter look. It is available in different wonderful colors. This item is handmade. As with all handcrafted work, it creates variations in color, size and design. Slight difference can be expected from one piece to other. Also color discrepancies may occur between this product and your computer screen. k warm and cozy cashmere poncho. 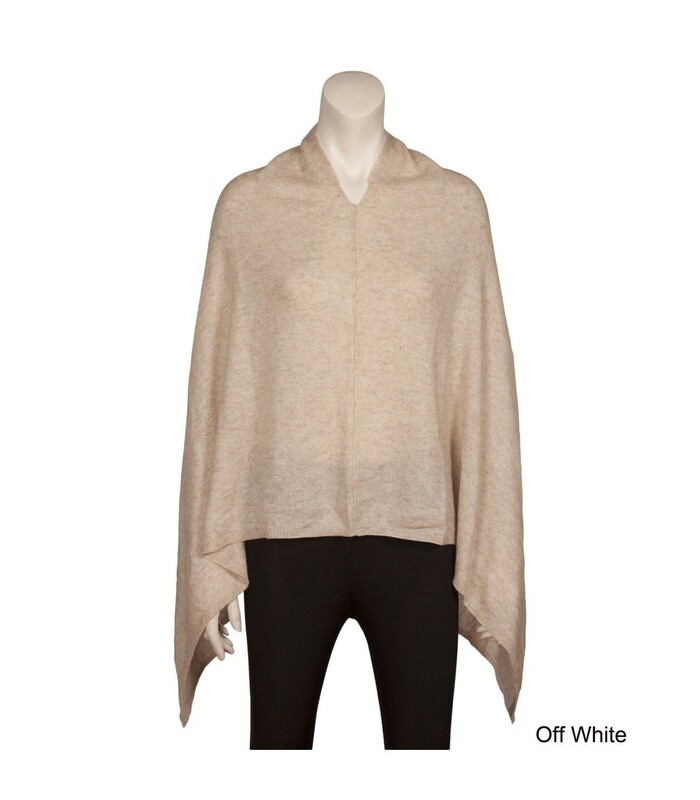 This cashmere poncho is easy to adorn and drapes perfectly on body creating an uneven hemline. This poncho will not just keep you warm but give you a vogue winter look. It is available in different wonderful colors.